﻿ Mission 2015: What is Biodiversity? Figure 1: Various levels at which biodiversity can be measured. Due to its complexity, biodiversity has many different definitions, each for a different aspect of biodiversity. We have chosen to mainly look at a combination of the following definitions, each for an aspect that we consider important to the project. The CBD (Convention on Biological Diversity) defines it as "the variability among living organisms from all sources including, among other things, terrestrial, marine and other aquatic ecosystems and the ecological complexes of which they are part; this includes diversity within species, between species and of ecosystems" (1992), a definition that takes into account the many different levels of ecology. Similarly, The Economics of Ecosystems and Biodiversity study (TEEB), an international initiative financed by the United Nations Environment Programme (UNEP) to educate both individuals and nations about the benefits of biodiversity, describes biodiversity as a combination of genetic variation within a species, the total number of species, and the diversity of ecosystems. Biodiversity does not come from nowhere, however. According to Stephanie Mills, a renowned author and lecturer on bioregionalism, ecological restoration, and community economics, biodiversity is created through ongoing and long processes of evolution. In her piece in "Peak Nature?" 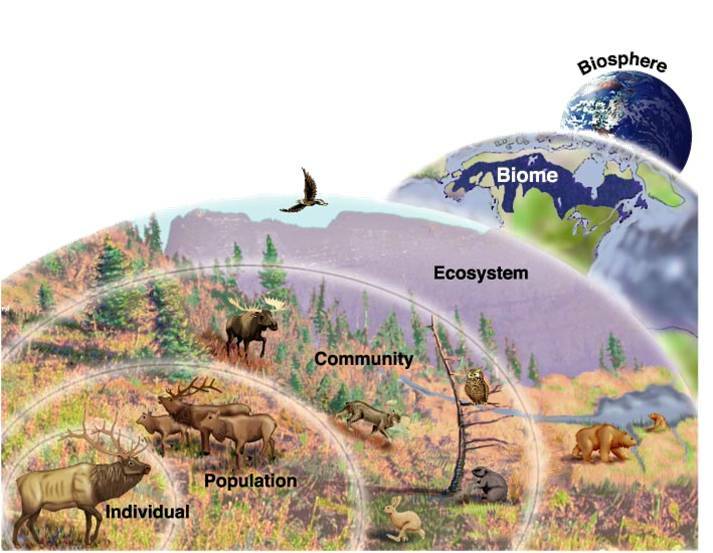 in The Post Carbon Reader: Managing the 21st Century's Sustainability Crises, she describes the process of how biodiversity has occurred – from evolution of individual species but also of ecosystems. Just as a population of individuals can evolve over time, so can ecosystems. Biodiversity can then be seen as not only the wide spectrum of organisms on Earth but also the interlinked systems of individuals, which all depend on each other for future survival, humanity not excluded. CBD – Convention on Biological Diversity (1992) "Text of Convention". Retrieved from www.cbd.int/convention/articles.shtml?a=cbd-02. Mills, S. (2010). Peak nature? In R. Heinberg, & D. Lerch (Eds. ), The post carbon reader: managing the 21st Century's sustainability crises (pp. 97-100) Watershed Media.